to visit violence on those who would do us harm." TAJI, Iraq - (KRT) - The Black Hawk helicopter flew low and fast over the bright lights north of Baghdad, then suddenly the lights were gone. In the darkened cockpit, the two pilots could make out an expanse of date palms through their night-vision goggles. In a clearing 50 feet below, an infantry soldier began twirling a chemical light - mimicking a glowing circular saw - to signal his unit's position to the helicopter. "This is what it's all about - picking up cold, tired soldiers and bringing them back for hot chow and a shower," said the second pilot, Warrant Officer Josh Muehlendorf, 29, of Houston. The Black Hawk's four-person crew from the 1st Cavalry Division had just completed a nighttime extraction, a routine mission in one of the unheralded corners of the Iraq war. Attack and transport helicopters are being used in Iraq with greater frequency and intensity than at any time since Vietnam. It's killed hundreds if not thousands of insurgents, and an unknown number of civilians. The 54-foot-long Black Hawks, armed with manned machine guns on each door, are used to taxi troops, supplies, civilians and VIPs, and to quickly insert or remove soldiers for raids or assaults. The smaller, nimbler Apache Longbows and Kiowa Warriors, bristling with high-tech rockets and cannons, are in the air 24 hours a day to protect and sometimes rescue ground troops. In October, one pilot of a two-seat Apache, Capt. Ryan Welch, 30, of Lebanon, N.H., landed to retrieve two downed comrades, then strapped himself to the outside of the aircraft so that a wounded man could fly inside - a move so dangerous it's almost never done. In April, two pilots used hand signals to stop an Iraqi train that was about to hit a huge bomb planted on the tracks - one flying sideways so the engineer could see his face. That same month, two others, both shot in the arm, steered a hard landing with their knees and evaded capture. Two aviators, Chief Warrant Officers Wesley "Chuck" Fortenberry of Texas and Shane Colton of Oklahoma, died April 11 after their Apache was hit by a missile while they were fighting to protect a Humvee patrol and a fuel-transport convoy that were under attack, and outnumbered, on the highway. Fathers of young children, the two were awarded the Distinguished Flying Cross, one of the nation's highest military honors. --- © 2005, Knight Ridder/Tribune Information Services. CHRONOLOGY-U.S. helicopters downed in Iraq. LONDON, Jan 28 (Reuters) - A U.S. Kiowa observation helicopter crashed in southwest Baghdad on Friday. There was no immediate information on casualties, the American military said. June 12, 2003 - Apache is shot down in western Iraq, crew unharmed. Oct 25 - Black Hawk is downed by a rocket-propelled grenade near Tikrit. One soldier wounded. Nov 2 - Chinook is shot down near Falluja. Sixteen U.S. troops killed and 21 others on board hurt. Nov 7 - Black Hawk comes down near Tikrit, probably hit by a rocket-propelled grenade. All six people aboard killed. Nov 15 - Two Black Hawks collide under fire in Mosul, killing 17 soldiers. Dec 9 - OH-58 Kiowa reconnaissance helicopter crashes near Falluja after coming under fire. Both crew walk away with slight injuries. Jan 2, 2004 - Kiowa shot down in central Iraq, killing one pilot and injuring another. 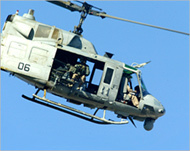 Jan 8 - Black Hawk comes down near Falluja, killing all nine soldiers aboard. Preliminary investigation indicates it was shot down by ground fire. 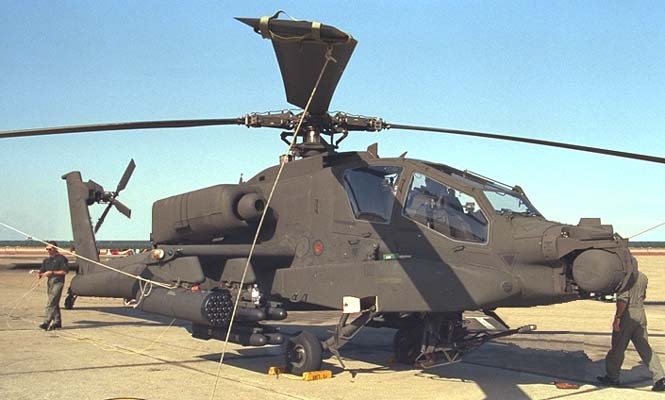 Jan 13 - Apache crashes near Thirthar lake, about 80 km (50 miles) west of Baghdad. Both crew survive. Jan 23 - Two U.S. pilots die when their helicopter comes down in northern Iraq. The army says there was no indication it was shot down. Jan 25 - Kiowa crashes in the Tigris River near Mosul, two crew and one soldier are missing. 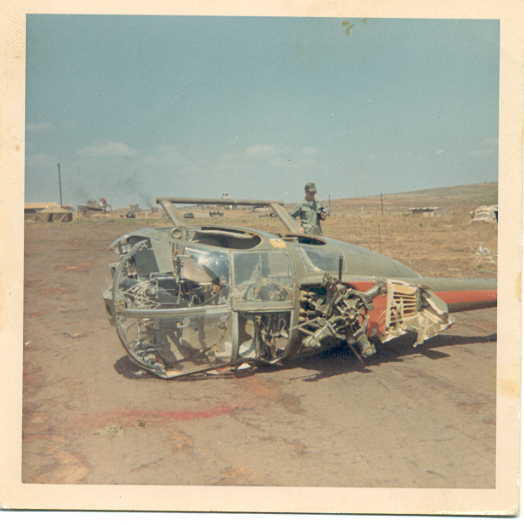 Feb 25 - Kiowa crashes in western Iraq, killing both crew. Aug 11 - Two U.S. marines are killed and three people wounded when a CH-53 helicopter crash in al-Anbar province. Oct 16 - Two U.S. soldiers are killed and two wounded when two U.S. helicopters crash in southwest Baghdad. Nov 12 - Black Hawk is brought down by insurgent ground-fire northeast of Baghdad injuring three of the four crew. 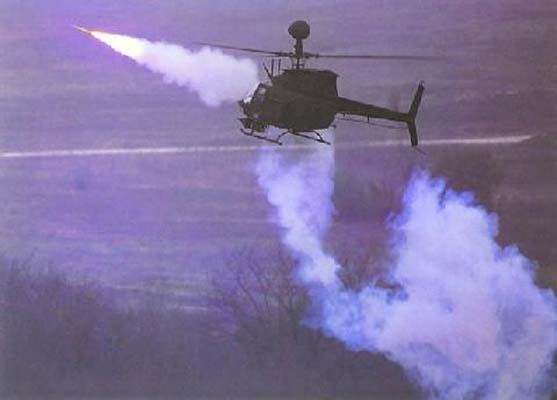 Dec 9 - Two U.S. soldiers are killed and four wounded in an accident involving two helicopters in northern Iraq. Jan 26, 2005 - A U.S. CH53E transport helicopter crashes close to the Jordanian border in Anbar province, western Iraq, killing 30 Marines and one sailor. Jan 28 - Kiowa crashes in southwest Baghdad. There is no immediate word on casualties or whether the crash was caused by an accident or an attack. Apache - Two crew; missile-firing main attack helicopter. 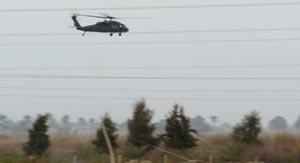 Black Hawk - At least three crew; frontline helicopter, carries 11 combat troops into action; also medical evacuation. 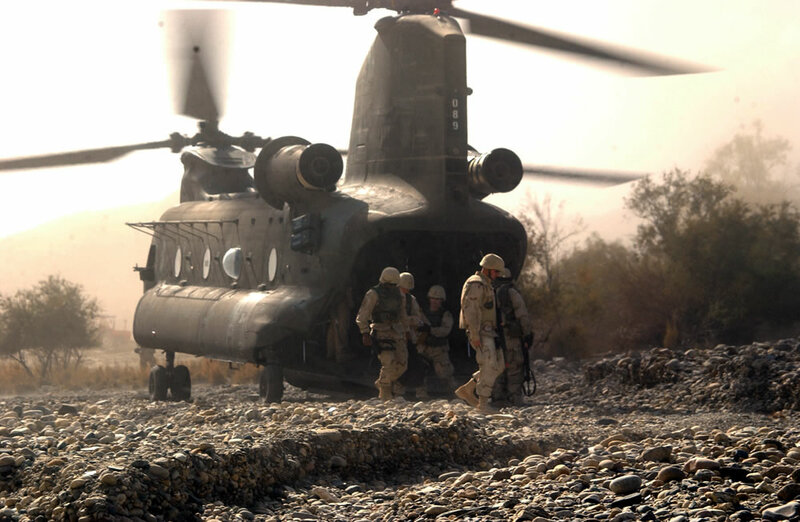 Chinook - Two crew; can carry up to 55 passengers or cargo; twin-engine, tandem-rotor, heavy-lift transport helicopter. Kiowa - Two crew; armed reconnaissance helicopter. Super Stallion - A Sikorsky CH53E Super Stallion is a three-engine, heavy-lift helicopter and has a crew of three and can carry up to 55 troops. Visit The 201st Aviation Company "Red Barons"
This unique unit and the men who served with it were the beginnings of this website. Located in Nha Trang the 201st. played a counterinsurgency roll and a support roll to the First Aviation Brigade and other high commands. The Red Barons supported most of the units on these pages at one time or another. Since many of the 201st. crew members came from other combat units, this site started as a tribute to the other units they served with. The site has since expanded to all combat helicopter units we had association with or knowledge of. The site continues to grow as more and more of the 201st. members check in. Visit The 281st Assault Helicopter Company "Intruders"
Visit The 189th Assault Helicopter Company "Ghostriders" and "Avengers"
The 189th. Was stationed at Camp Holloway, Pleiku flying in support of the 4th. Infantry Division and other allied units in two corps. The 189th. served with distinction and the call sign Ghostriders and Avengers was well known throughout two corps. 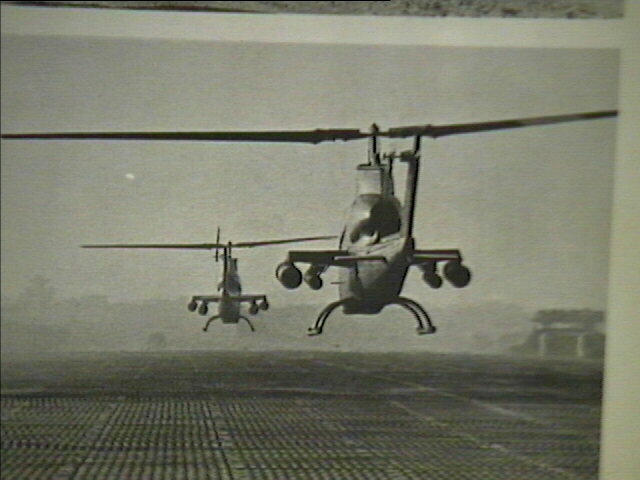 The unit consisted of UH-1H Slicks and UH-1C (hog) Gunships. Check out the rocket pod art on their home page! These guys were dedicated Coors and Black Lablel Boys, see "Giant Coors Pod" from their home page. Visit The 7/17th Air Cavalry "Ruthless Riders"
The 7th Squadron of the 17th Air Cavalry left Fort Knox, KY. and deployed to Vietnam as a unit in September and October of 1967. The squadron, part of the 17th Combat Aviation Group, established its base camp at Camp Enari near Pleiku. The mission was to provide combat reconnaissance and security for the 4th Infantry Division and other allied units in western II Corps. Other allied units supported included but was not limited to: The 173rd Airborne, The 101st Airborne, ARVN, CIDG, and the 5th Special Forces. In addition C Troop was sent to Chu lai in I Corps. to support The Americal Division. On April 1, 1968 C Troop Assets gave birth to F Troop 8th Cavalry "Blue Ghost". A replacement troop was raised from the 2/17th Air Cavalry. The replacement C Troop arrived in Pleiku in July 1968 bringing the Squadron back to full strength. 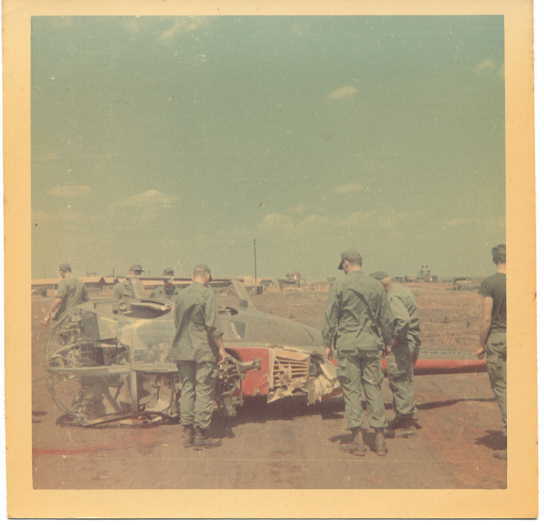 Read the Hawk Magazine article, on 7/17th Air Cavalry Operations, written in Vietnam in 1968. 7/17th Operations; a good day at the office, Rice, Townsend, and Chaflin were all home for chow by days end. Good flying Mr. Rice! While performing a visual reconnaissance, of a bunker complex (old friendly complex, this day), west of Kontum, in twenty to thirty knot winds, we whipped back for a quick look, in a nice gust of wind, and ran out of left pedal. We went into the proverbial "no more left pedal spin". I watched the tail rotor and the stabilizer being ripped off from contact with a tree, there was no doubt, we were heading for the ground. 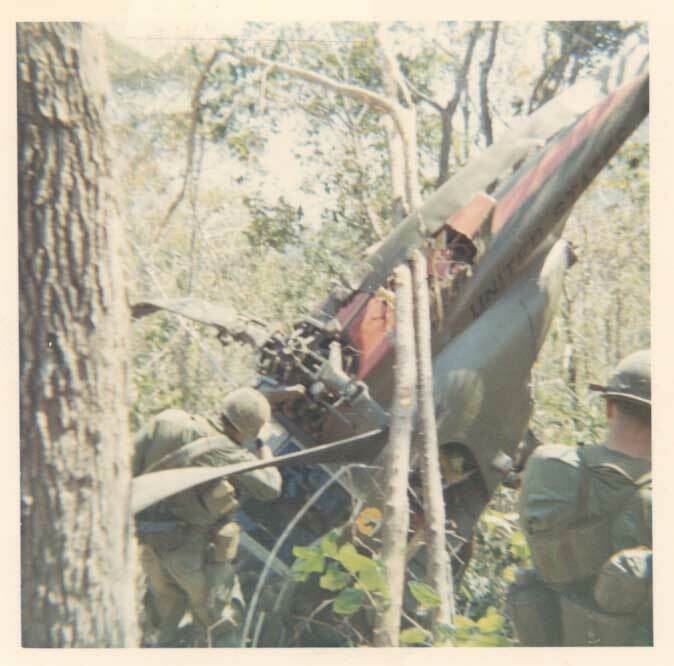 I looked over at Mr. Rice, calm and solid as a rock he lowered the collective (read slammed it through the floor boards) to gain main rotor speed, and we proceeded on the noisiest descent down through the trees you can imagine. About 30 ft. from the ground he brought the collective up with authority (read, nearly pulled it through the roof in one hundredth of a second) and we landed firmly on the ground (read, too sore to get out of bed the next day) When doing a bunker complex VR of this sort, we've seen this one come out much worse. Thanks again Mr. Rice! and thank-you Tommy for the on the ground photo, when we arrived on the ground we were pretty dazed and caught the first ride out on the C&C bird. It's nice to have this photo to match the one I have of the same bird, pictured below, after being slung load back to Camp Enari, Pleiku. Visit The 61st. Assault Helicopter Company "Lucky Stars and Starblazers"
The colors of the 61st Assault Helicopter Company Unit Crest, Blue and Gold, denotes Army Aviation Units. The Dice with the 6 -1 showing denotes the unit designation 61st and also adds up to seven meaning Good Luck thus the word "Lucky" is used. The "Star" comes from the Senior Aviators badge. For compatibility the Armed Platoon or Gun Platoon also uses the Star. "Blazers" is added to denote the swiftness and fire power of the gun ships. In May 1971, the "Lucky Stars" enjoyed the unique experience of assignment to the 7th Squadron 17th Cavalry. This particularlarly unusual aviation assignment was of great professional benefit to personnel of both units and enhanced the Cavalry's mission capability by adding a greatly expanded lift capacity. The experience gained by both organizations will be of significant benefit to all those assigned. This relationship terminated as the 61st completed five years in Vietnam and deactivated in March of 1972. The 61st help insert Cavalry Regiment and 1st Regiment of the Capital ROK Infantry Division and two Battalions, 2/503 and the 3/503, 173rd Airborne Brigade. 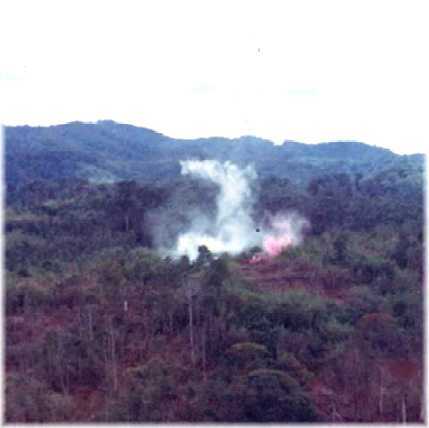 The operation was a search and destroy mission to clear the Sai Cau area of reported NVA units (3rd NVA Division Headquarters) it resulted in the destruction of 3 enemy Bunkers, the capture of 110 enemy weapons, 35 Crew served weapons, 7 radios and 252 enemy killed in action with no U.S. causalities. Was also a combat air assault in support of the GRID and was conducted in the same area as Manh Ho 16 due to regrouping and buildup of enemy forces in Base Area 226. Two ROK Infantry Regiments were air assaulted onto the mountaintops surrounding the valley and the valley floor. Two insertions of 2 and 3 companies were conducted as a diversionary tactic. The operation resulted in 210 enemy killed, the capture of 134 individual weapons, 7 crew served weapons, and 3 radios. U.S. forces suffered 2 killed and six wounded. Elements of the Cavalry Regiment and 26th Regiment (GRID) were inserted into the Van Canh Valley in an attempt to surround enemy units reported to be working in the area. The operation resulted in 173 enemy killed, and the capture of 4 POW's, 73 individual weapons and 4 crew served weapons. I could fill these pages with the heroic exploits of this unit. These guys were every combat soldiers hero saving thousands of lives. This unit is still active toaday at Ft. Benning, GA.
red smoke from the north"
west of the red smoke, depart to the east, north east." The 119th Assault Helicopter Company "Gators and Crocs"
The mission of the 119th Aviation Company was to provide tactical air movement of combat troops and combat supplies and equipment within the combat zone. The company was attached to the 52d Aviation Battalion 17th Aviation Group, which provided aviation support to the 3d Brigade, 25th Infantry Division, and 4th Infantry Division troops in the II Corps area. The 119th Aviation Company was located at Camp Holloway near the town of Pleiku, Vietnam. Pleiku is near the center of the rugged central Highlands of Vietnam and is the site of the ARVNS Second Corps. headquarters. Camp Holloway was one of the oldest helicopter basses in Vietnam Nam. It was opened in august of 1962 by the 81st Transit Company (C-21) which later became the 119th Aviation Company. Camp Holloway also had the distinction of being the highest permanent helicopter base in the country with a field elevation of 2640 feet. Visit The 57th Assault Helicopter Company "Gladiators and Cougars"
The 57th Assault Helicopter Company was located in Kontum, about 40 miles to the north of Pleiku, and deep within the enemy held mountains and valleys of Kontum Province. Gladiators" and "Cougars" of the 57th carved a reputation of "Duty First". Accomplishing untold missions in support of Northern II Corps area 24th Special Tactical Zone (STZ), MACV, medical and special assistance missions, Special Forces Camps, ARVN II Corps, and the 4th Infantry Division in the Dak To area, the customers of the Gladiators gave them their own distinction when they would say: "Gladiators Never Quit." This was especially true with the Special Operations Group of the Combat Command Central and the reconnaissance teams who's lives often depended on them. Visit The 162nd Assault Helicopter Company "Vultures and Copperheads"
On February 3rd, 1966, the 162nd was sent to Phouc Vinh, and assigned to the 11th Combat Aviation Battalion (CAB) at Phu Loi which supported the First Infantry Division in the III Corps area. On 1 November 1968, the company was relocated to Dong Tam in the upper Delta region and assigned to the 214th CAB which was the direct support aviation battalion for the 9th Infantry Division. 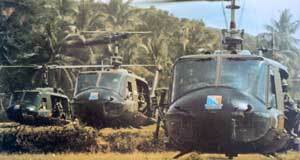 In August 1969, the 162nd was assigned to the 13th CAB in the Mekong Delta and relocated to Can Tho. While in Can Tho, the Vultures primarily supported ARVN units. This included the 5th ,9th and 21st ARVN Infantry Divisions as well as other Vietnamese units throughout the IV Corps area until the company stood down in April 1972. The 162nd had the distinction of being the last assault helicopter unit in the Delta. Visit The 134th. Assault Helicopter Company "Demons and Devils"
The 134th Aviation Company (AM-FW) was Constituted 30 June 1965 and was Activated 1 July 1965 at Fort Benning, Georgia. The unit arrived in country on 18 December 1965 and began preparing to become operational. The unit consisted of 18 Caribous. In August of 1966, the unit was notified of Operation Red Leaf, the transfer of the Caribous to Air Force control. During the unit's tour in Vietnam, they carried 13,700 packs on troop lifts, flew 26,170 sorties, carried 15,244 tons of cargo, 165,010 passengers, flew 620 medivacs and flew 13,710 hours. The unit was deactivated on 1 January 1967 at Cam Rhan Bay, South Vietnam. 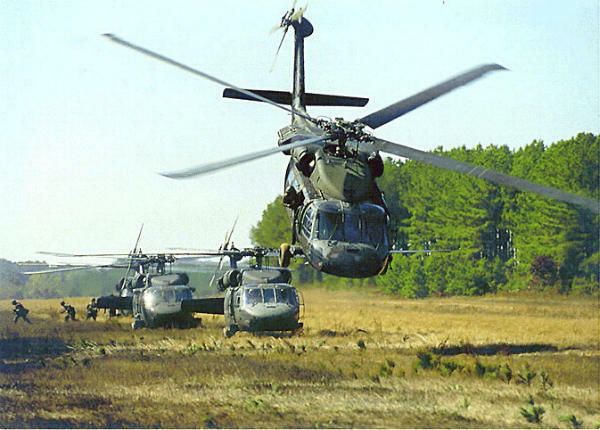 The 134th was reactivated on 17 February 1967 at Fort Bragg, North Carolina as an Assault Helicopter Company. The 134th along with it’s subordinate units arrived in Vietnam on Thanksgiving Day, 24 November 1967. There wasn't much territory in II corps that the Demons and the Devils didn't cover with distinction. Visit D Troop 1/10th Cav "Shamrocks"
D Troop was the Air Cavalry Troop of the 4th Infantry Division Cavalry Squadron. This unit traveled the central highlands extensively based out of Camp Enari and An Khe. Visit The 180th Assault Support Helicopter Company "Big Windy"
Consisting of CH-47's these guy's did the heavy lifting! Visit The 92nd. Assault Helicopter Company "Stallions and Sidekicks"
The 92nd AHC was placed under the command of the 10th Combat Aviation Battalion, 17th Combat Aviation Group, 1st Aviation Brigade, base camp, Dong Ba Thin. Visit The 135th Assault Helicopter Company "Emus and Taipans"
The 135th Assault Helicopter Company was organized at Fort Hood, Texas on 1 February 1967. In October 1967 the unit deployed to Vung Tau, Republic of Vietnam. At the time of deployment, the Australian Government dispatched a Navy Helicopter flight to Vietnam consisting of eleven officers and thirty-six enlisted men. The Australian flight was assigned to the 135th, and the unit became known as an "Experimental Military Unit", or EMU for short. The unit's first roll in Vietnam was to support the Royal Australian Task Force and other free-world units working in III and IV Corps. To facilitate operations, the 135th moved to Blackhorse in December 1967 and then to Bear Cat in November 1968. Working as part of the 214th CAB and 222nd CAB, the EMU's wrought devastation on the Viet Cong from the southern edges of the U Minh Forest to the Bamboo of Bu Dop and east to the boundaries of II Corps. On 8 September 1970, the EMU's moved again, this time to Dong Tam, supporting strictly Vietnamese Army units in the Delta. As other Aviation units in the Delta deactivated, the only US/Australian helicopter unit in existence took up the slack. The 135th daily flew great distances from home station in support of the war effort. As the only completely integrated Multi-national Helicopter Company fighting in Viet Nam, the EMU's developed pride and dedication to their motto, "GET THE BLOODY JOB DONE". The gunship platoon (TAIPANS) adopted their own motto, "GET THE JOB DONE BLOODY". In 1971, The EMU's moved to Di An. In June 1971, the Royal Australian Navy portion of the 135th deactivated and was replaced by US personnel. The 135th continued to carry out their mission as well as the traditions of the EMU's. On July 1, 1965 at Fort Benning, Georgia, the 516th Transport Airplane Company was re-designated as the 135th Aviation Company. The main body deployed by sea on the 8th of December with the advanced party by air on the 15th. Both parties joined at Qui Nhon on 31 December 1965. The flight crews departed Fort Benning with 18 Caribou aircraft on the 3rd of January 1966 for the west coast and trans-Pacific flight to Viet Nam. The aircraft arrived at Qui Nhon on the 23rd of January 1966 setting a record for the longest flight by the largest number of army aircraft. Five days later, on the 28th of January, the 135th flew its first combat mission, a medevac, for the 1st Cav. from Bong Son. The 135th was assigned to the 14th Aviation Bn. 12th Avn. Group in February 1966. On March 3rd the 135th moved from Qui Nhon to Dong Ba Tin and was assigned to the 10th Aviation Bn., 17th Avn. Group. On 31 December 1966, the Air Force officially assumed control of the 135th and the unit was designated the 458th TCS. The 135th flew 13,888 combat hours in 20,031 sorties carrying 133,170 passengers and 11.74 tons of cargo while under Army control in Viet Nam. The 135th Avn Co was reformed at Ft Hood, TX and sent back to Vietnam as an Assault Hel Co. When assigned back to Vietnam it became an Experimental Military Unit, callsign EMU, half American and half Australian. The Unit from the Movie, "We Were Soldiers"
In August 1965 the 1st and 2nd Battalions, 7th Cavalry sailed for South Vietnam. By this time, they had completed their initial training and were full-fledged air assault infantry battalions. Upon reaching Vietnam in September 1965, the 1st Cavalry Division began the construction of a massive firebase in the Central Highlands region of the Republic of Vietnam. In November 1965, the National Liberation Front (Viet Cong) attacked the Special Forces camp at Plei Mei. The division moved into the area, with the intent of trapping the Viet Cong forces between Plei Mei and the Laotian border. 1-7 landed in Landing Zone X-Ray, a small open field in the Ia Drang valley, to search for and destroy units on 14 November 1965. They landed in an area with nearly three full-strength regiments of the North Vietnamese Army and into what would become the first major battle of the Vietnam War. 1-7's battalion commander, LTC Harold G. Moore, had planned for a possible piecemeal engagement before all of his elements closed on LZ X-Ray, but they were nearly overwhelmed by the superior numbers of the NVA. Eventually 1-7, with elements of 2-7 were able to bring massive air, artillery, and aerial rocket artillery (helicopter) fires into the area. Once the codeword "Broken Arrow" was given, it meant that a US unit was in danger of being overrun and, upon acknowledgment, meant that the calling unit had priority of all aircraft in country. 1-7 and 2-7 had aircraft stacked at thousand foot intervals from 5000 to 30,000 feet waiting to drop ordnance. On 15 September 1965, the 1st Squadron, 9th Cavalry began combat operations in the Republic of Vietnam as the division’s air cavalry squadron. The 1st Squadron, 9th Cavalry participated in such pivotal battles as the Ia Drang Valley, Khe Sahn, Binh Dinh, and Quang Tri. Until 28 June 1971, the 1st Squadron, 9th Cavalry remained in Vietnam. During that period, elements from the 1st Squadron, 9th Cavalry earned fourteen campaign streamers, three Presidential Unit Citations, five Valorous Unit Citations, and the reputation as one of the finest combat units in Vietnam. It is estimated that the 1st Squadron, 9th Cavalry was responsible for fifty percent of all enemy soldiers killed by the 1st Cavalry Division during the war. It was for this reason that the battalion earned its current nickname “The Headhunters.” In addition this unit helped train new Air Cavalry Units as they arrived in country. "Charlie" Troop 1/9th trained elements of the 7/17th Air Cavalry when they arrived in country.